This week, I had the pleasure of my first ever book review. 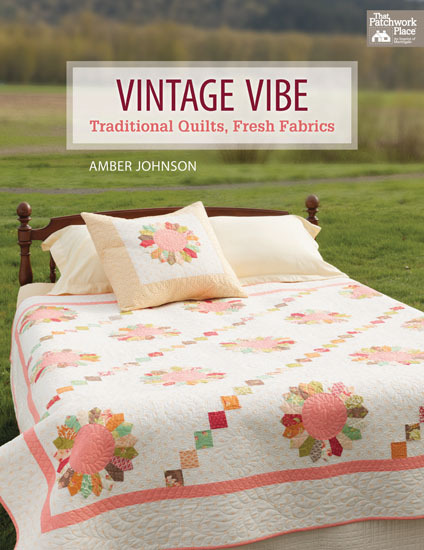 I jumped at the chance to review “Vintage Vibe” by Amber Johnson. 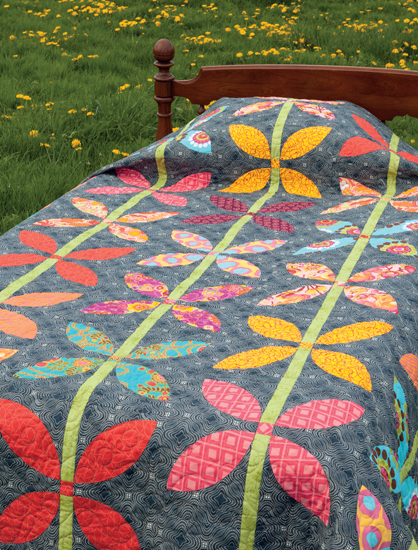 As a lover of modern quilting, with a traditional foundation, I really loved the approach Vintage Vibe takes on quilting. It’s definitely “a little bit vintage, a little bit modern”. 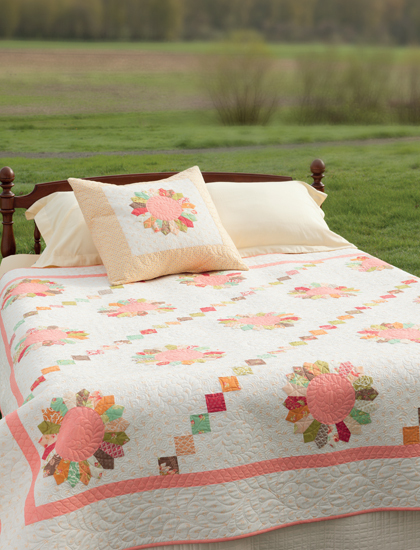 I especially loved the history of how Amber learned quilting with her grandmother “Gigi”. I can only imagine how precious these memories must be to Amber. There are 14 different patterns to choose from in a variety of sizes. And I fell in love with at least three quilt designs. There is also lots of quilting tips and instructions that would make this book appropriate even for one just learning the art of quilting. One quilt in particular, Vintage Vibe, won me over at first glance. 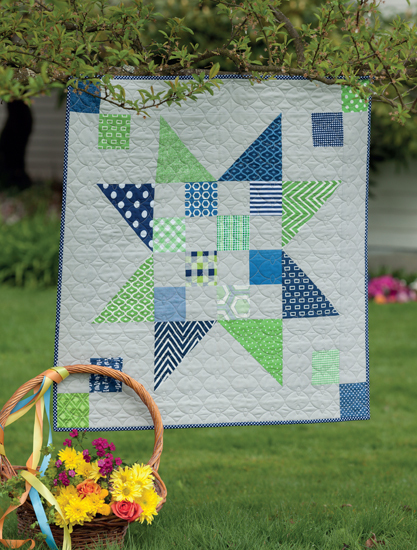 The elegant simplicity of the design really gives the quilter a chance to focus on the actual quilting effect. I know I definitely have some two tone solid quilts in my future. I also really loved the bold elegance of this applique quilt (Growing Up). I’m not 100% confident with applique at this point in my quilting journey, but I hope to one day learn the skills needed to embrace this beautiful style of quilting. I chose to make a block from the Pretty Petals quilt pattern, which is a fun play on the traditional Dresden plate block. I found the size of the Dresden blades easy to sew. The pattern runs a bit on the generous size, so if you cut your fabrics for the blades as directed, you will have a bit of wiggle room to fussy cut if you choose. Personally, after cutting out the template provided, I realized that the Dresden plate wedge fits perfectly on a 2.5 inch strip of fabric, of which I just happen to have a big bin – precut and sorted by color. This was a really quick project for me. All in all, this was a great read, with a good variety patterns and fun techniques. I look forward to playing with several of the patterns in the future. Note: All photo credit (except for the last) goes to photographer Brent Kane, with the permission of the Publisher Martingale.